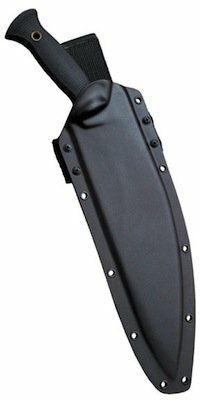 Cold Steel Gurkha Kukri Kraton Handle | Survival Gear - Everything Piece of survival Gear in One Store! The Gurkha Kukri’s SK-5 high carbon blade is the heaviest Kukri on the market, with remarkable cutting power. The blade is almost an inch wider near the tip than at the handle, shifting the knife’s balance point forward to allow a substantial blow to be struck with minimal effort, using inertia alone to complete the cut. A durable Secure-Ex sheath is also included. Be the first to review “Cold Steel Gurkha Kukri Kraton Handle” Click here to cancel reply.